Brighten up your day with this 'Peacock Flower' print make up bag. 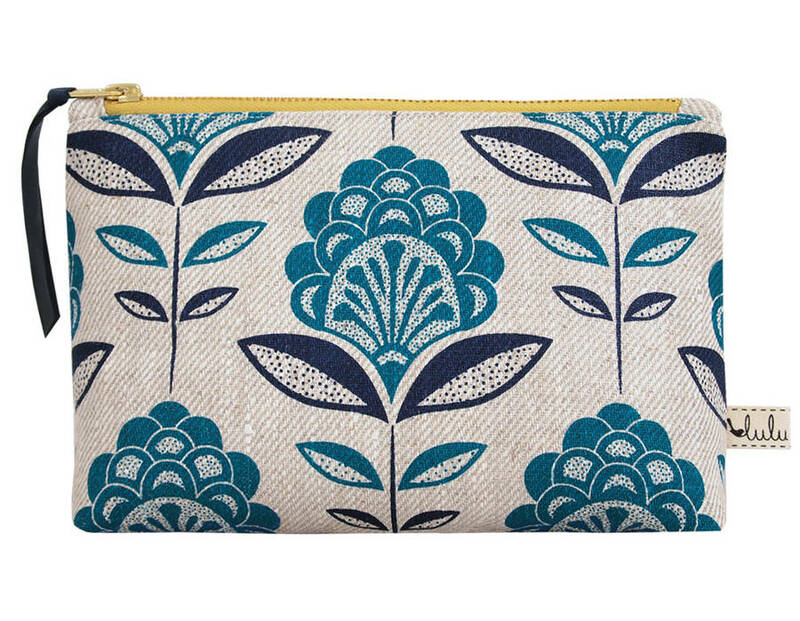 An original design Inspired by print and patterns of the fabulous Art nouveau/Art deco eras. 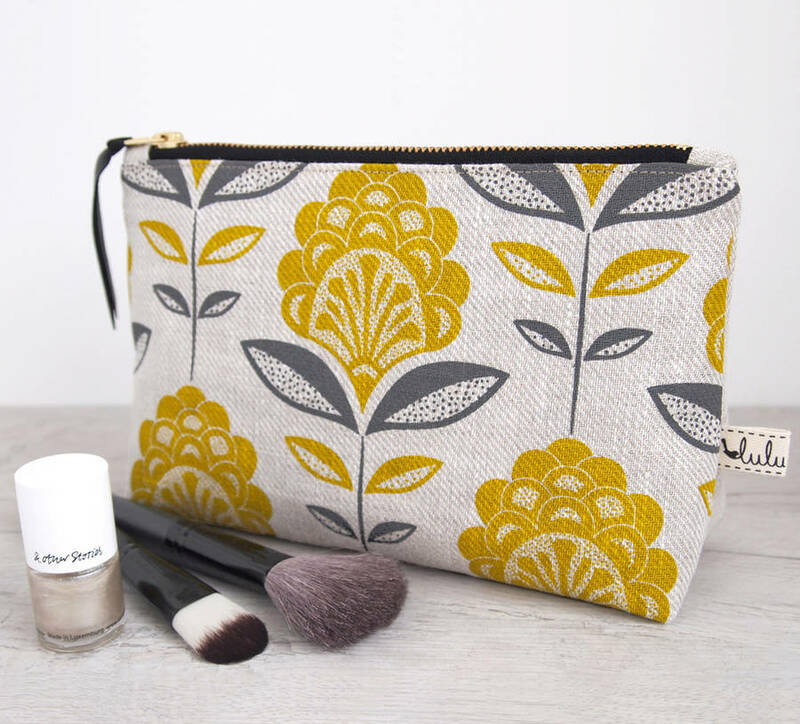 This cosmetic bag is hand-printed onto a natural linen which has been interlined for extra support to make it nice and sturdy, the back is plain linen and the lining cotton. 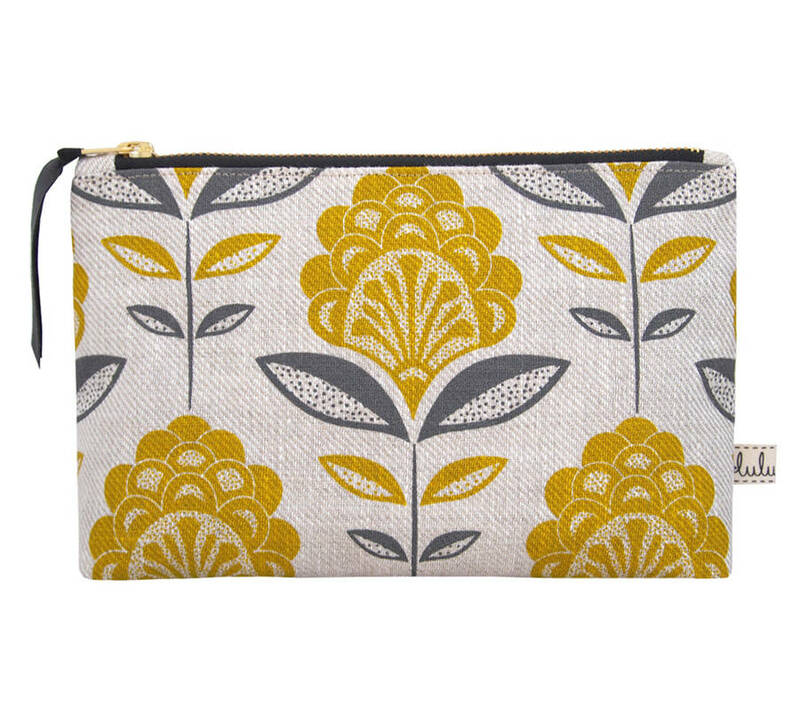 Colours - Available in mustard & grey with a black lining and turquoise & navy with a navy lining. 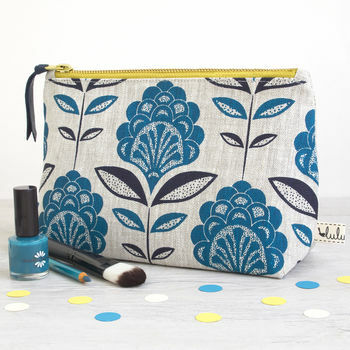 A great size bag, ideal to store make up for home or away! Would make the perfect gift! or treat for yourself! 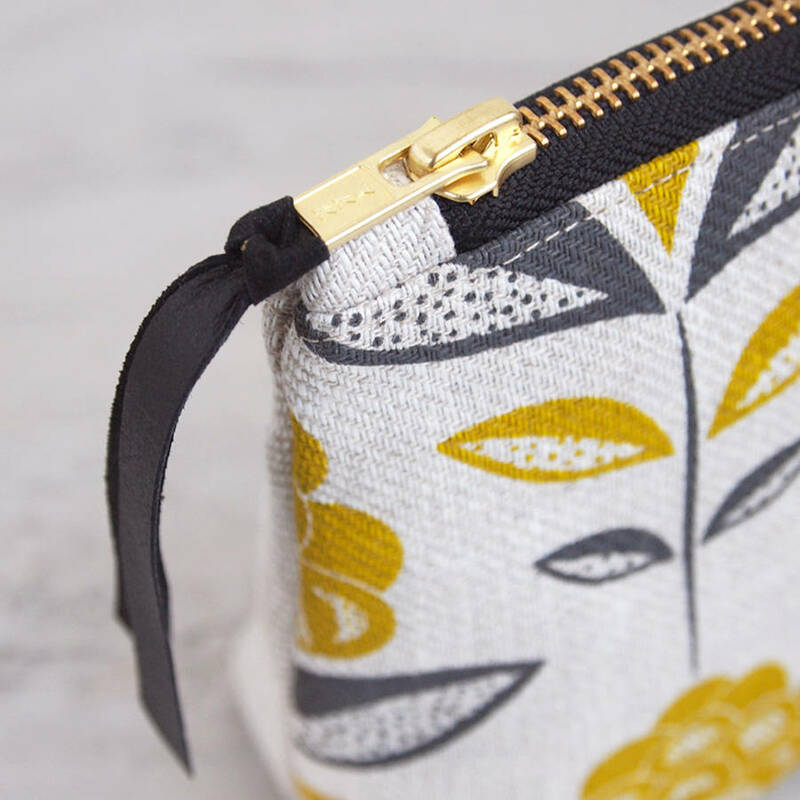 All of the fabrics I use are designed and hand-printed by me and are exclusive to Lulu & Luca. 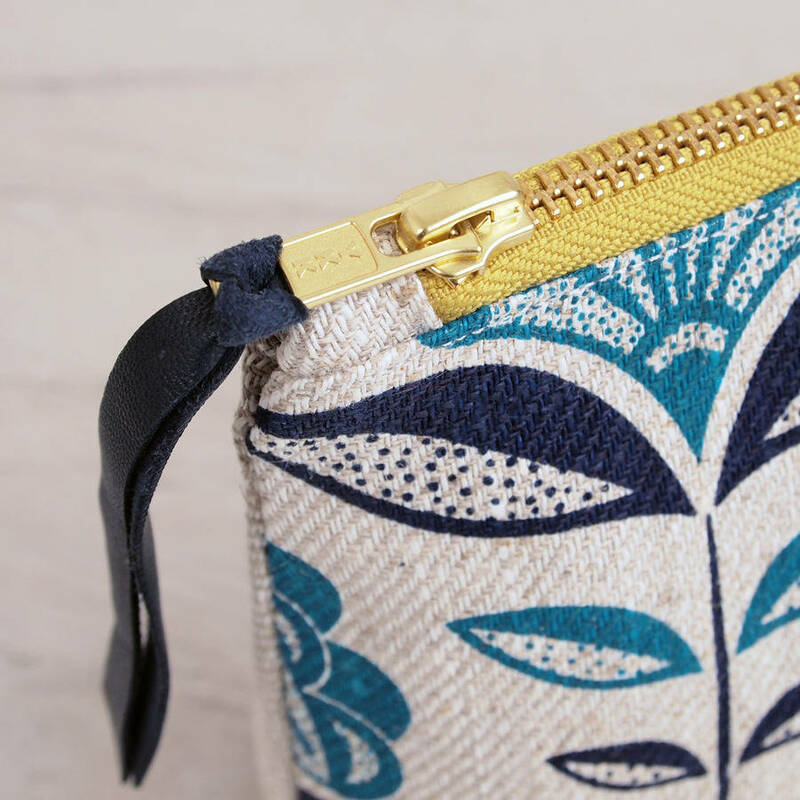 100% Natural Linen (Interlined for extra support), cotton lining, chunky ykk zip, soft leather zip pull. This product is dispatched to you by Lulu & Luca.